I originally bought the palette because I love things in small parcels. I finally bought the Pocket Art Toolkit without the contents and filled it myself. I’m mad about it! It is so convenient and holds everything I need except a water container, but I can use a waterbrush, or very often there is a water handy in the form of a cup of tea or glass of wine. You never know when you will find something you just have to sketch, or you have time to fill! Visit Instagram to see more of Helen’s beautiful sketches! 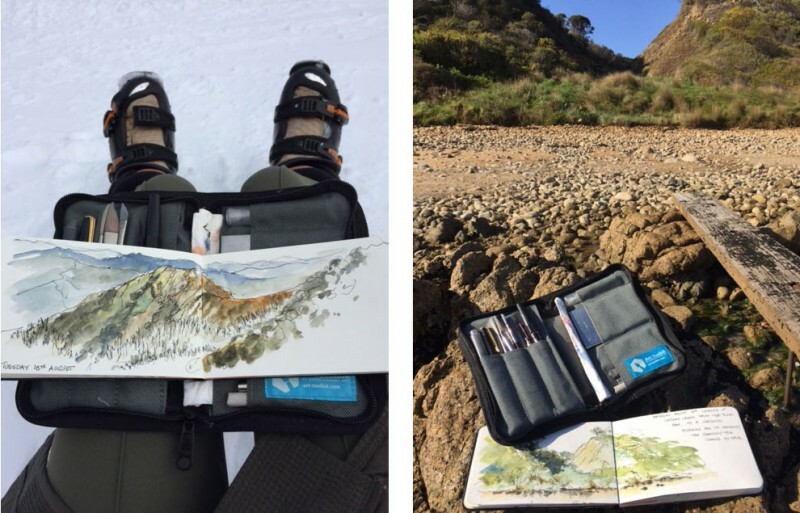 I love seeing Art Toolkit supplies in action, please email me if you’d like to share your work.